A great way to show your love of Fender, and a comfortable place to sit. 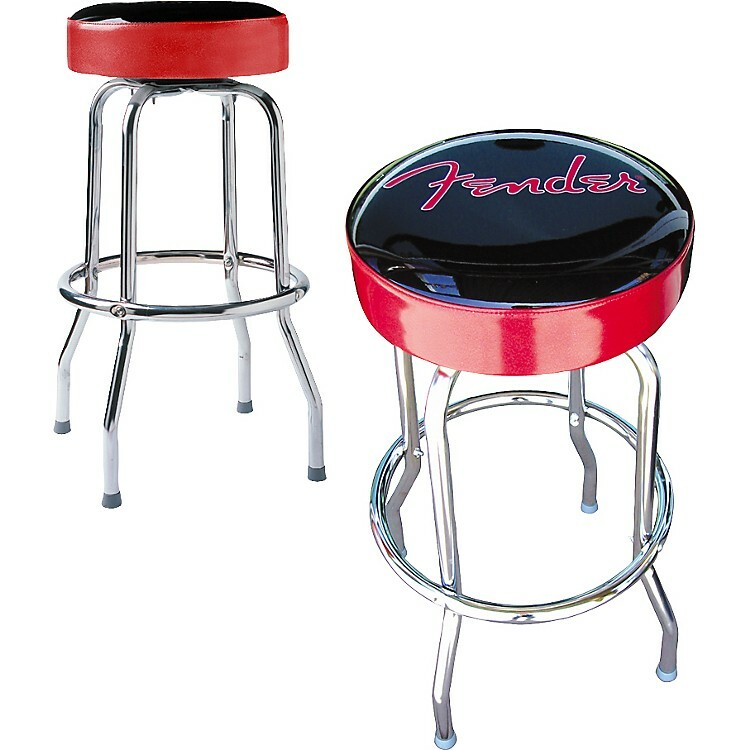 These premium-quality Fender barstools are constructed from heavy-gauge 1 in. tubular steel frame with a chrome-plated finish. The thick, foam-padded seat tops consist of commercial-grade black vinyl and displays the Fender logo in red. The seats rotate on a 360-degree revolving swivel. The stools also have a foot ring for hooking your heels and nonslip rubber feet. Excellent in the studio or at the gig. 30 in. tall. Assembly required.